Porsche Museum - 928 Comment there!! 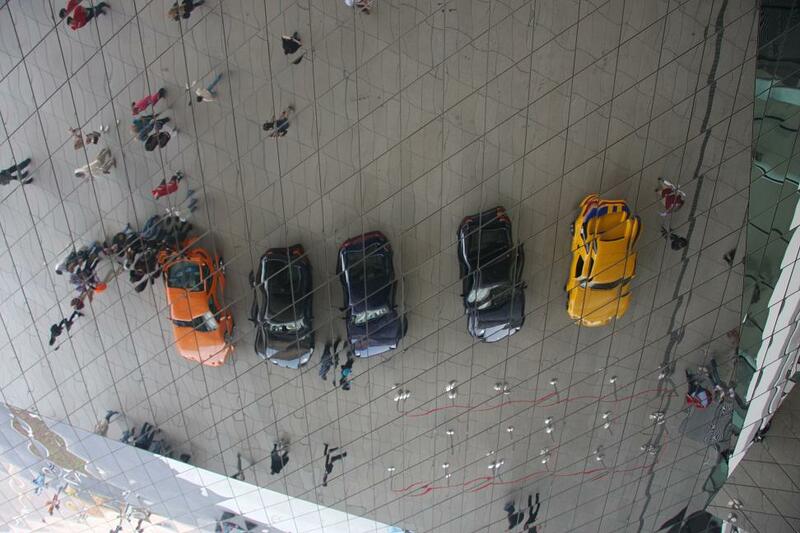 We visited the Porsche Museum Sunday morning May 10th for about 2-3 hours. Enjoyed the tour, lots of interesting race cars, and discussions of their histories, as well as the history of Porsche company on the audio players. I especially enjoyed the comments concerning BEAUTIFUL a '95 (I think) Nachtblau/light gray 928 GTS. The final words in the recorded audio commentary were: ".... in the mid- 90's, Porsche was in difficult times and could not continue development of all the cars. So - a decision was made to reduce the line, thus stopping production of the 928 - - - - the perfect car"
(The last 8 words are exact quotes, the others are best of my memory). I thought it an intersting comment, coming from them!. Only saw three 928's in the entire 11 days and 2K kM of driving - An '84 and the GTS IN the museum and a silver GTS parked across the street in the Porsche Zentrum dealership service lot (gates locked). None on the highways in Germany, Austria, or Switzerland. Also, the Mercedes Museum is FABULOUS. If you go to Stuttgart, don't miss it. I'd split my time 40% to Porsche and 60% to the MB museum if I were doing it again. Last edited by Gary Knox; 07-06-2010 at 11:09 AM. Did you get any pics of anything? I hope to make it to Germany someday....that sounds like sooooo much fun! I especially enjoyed the comments concerning BEAUTIFUL a '94 (I think) Nachtblau/light gray 928 GTS. The final words in the recorded audio commentary were: ".... in the mid- 90's, Porsche was in difficult times and could not continue development of all the cars. So - a decision was made to reduce the line, thus stopping production of the 928 - - - - the perfect car"
Is this the GTS you saw? last 5-speed 1995 GTS produced - resides in the Porsche Museum. Yessir, that's the GTS they have on display at the museum!! Beautiful car, it was. But at least they kept the 'perfect beetle' in production. ...I especially enjoyed the comments concerning BEAUTIFUL a '94 (I think) Nachtblau/light gray 928 GTS. The final words in the recorded audio commentary were: ".... in the mid- 90's, Porsche was in difficult times and could not continue development of all the cars. So - a decision was made to reduce the line, thus stopping production of the 928 - - - - the perfect car"
Porsche gets agreement (qualified) from 928 specialist, Doc Brown, "Drill the oil holes into the pistons, when the engine is apart, the first time, and buy a new set of rods...and you have one of the best cars ever built...by anybody." High praise indeed. I have to remember this when I am locked into tunnel vision on the little annoying stuff. Seems like you weren't the only RL'er there recently. Thanks for sharing, as well. Chuck - that is one SWEET shark!!! Question: Do any of the cars at the museum ever get started or are they all static displays that aren't expected to ever run? That GTS is a part of history and possibly the perfect example of a car that may never be equaled for what it was, but I'm always a little sad seeing an engineering marvel like that just sitting there. It's like a tremendously complicated and perfectly balanced hand-made Swiss clock just hanging on the wall not ticking. Yes, that is the car. It is REALLY beautiful in the lighting set up they have, and just a few feet from the Carrera GT that is on display. Walter Roerl (sp?) has a commentary on the Carrera GT in which he says the car is equally able to go to the grocery store, and to race on Nurburgring!!! My wife didn't think she'd want to take it to the grocery store - ha. And, speaking of Nurburgring, I'll try to get a post soon on my lap in a race car on the combined new and old track there. Last edited by Gary Knox; 07-06-2010 at 11:11 AM. They are driven every now and then when they are not on display. Some are taken in to historic races and classic car gatherings by factory people etc. That last 5sp GTS has maybe 70 miles more in odometer than after factory test drive when it was made in May 1995. Usually cars have around 200km when they are released from after production check drive. IIRR 5sp GTS had little over 300 km back in 2002. Cool! That's good to know. I'd be interested in seeing when it's time to take some of them out for their laps. Especially the one-of-a-kind examples like this. Would make a cool show or video for those interested. Seems that you missed about 30 928's at the museum! 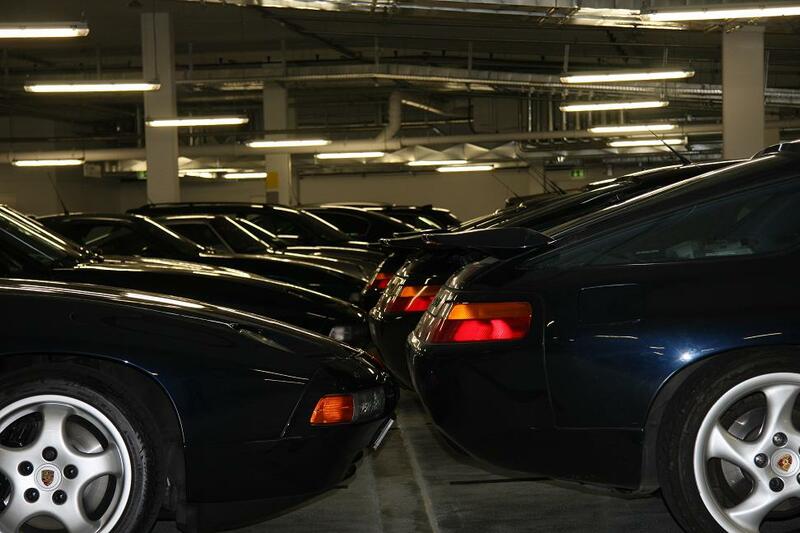 We had a little meeting in the area of Stuttgart on May 01 and 02, (I couldn't unfortunately not be there at the second day), and there was lots of fun and lots of nice 928 cars! Hope you are more lucky next time! Yes - I'm sorry I missed it too. That must have been really neat. But, even if I'd known about it in advance, it would have been a difficult choice to make for May 1st. I was actually in Nurburg that day, preparing for, and taking a ride around the combined new and old Nurburgrings in the right seat of a race car. It was the final practice laps for the cars preparing for the BF Goodrich Endurance races on Saturday and Sunday. Wow - that was a real treat as well - 11 minutes at an average speed of 98 mph!! In case anyone is interested in such a ride, check out: www.renn-taxi.de . Friedhelm Thelen operates an interesting service that is slightly more expensive than the well known Ring Taxi, but is a bit more exciting - I think - as the ride is in an actual race car, in nearly racing conditions. It is only possible about 8 days a year, he told me. It also - in this case - at least, involved both tracks, via a connecting link. Last edited by Gary Knox; 05-17-2009 at 09:14 AM. 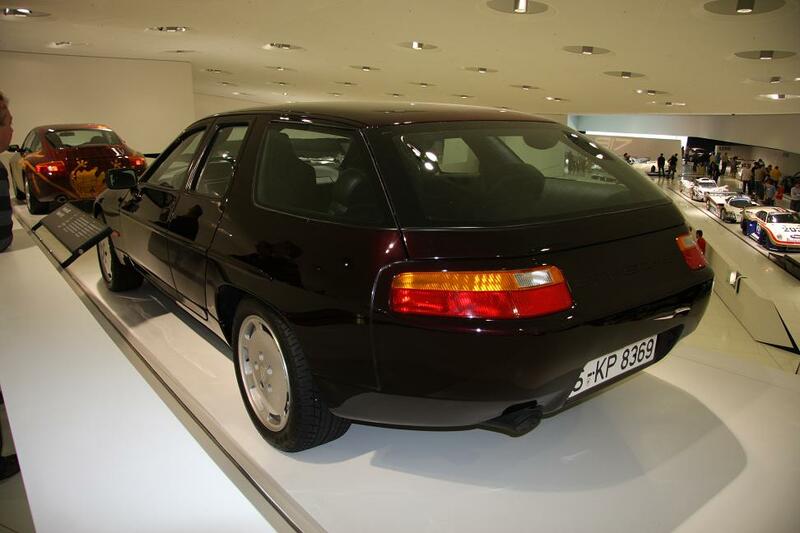 Quick Reply: Porsche Museum - 928 Comment there! !